Borealis, Borouge and NOVA Chemicals each share a foundation of growth through innovation and a steady commitment to maintaining their engagement along the entire value chain. They now invite their individual customers and partners to “Join Our Journey” at K Fair 2016 Düsseldorf, Germany. What awaits them is an enhanced customer experience across global markets filled with leading-edge innovation, the development of exciting new applications and ongoing strategic expansion. Borealis, Borouge and NOVA Chemicals are three leading providers of chemical and innovative plastics solutions. As legally separate entities, the companies operate independently. Each shares the strong, stable backing of their respective owners, the Abu Dhabi National Oil Company (ADNOC), the International Petroleum Investment Company (IPIC) and OMV. The advantages of belonging to a global family of polyolefins companies are clear: a global scale of operations, feedstock integration, proprietary technologies and access to international markets. 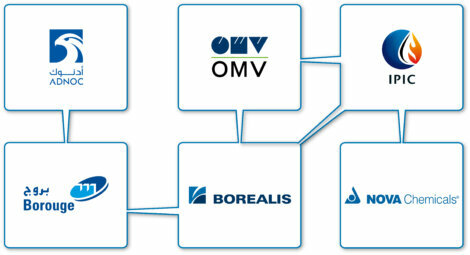 Borealis, Borouge and NOVA Chemicals are each well positioned to expand their global business. K Fair 2016 is the ideal locale to spotlight our dedication to innovation, applications development and ongoing expansion through investment. It is also a good opportunity to deepen existing customer relationships and develop new ones. Thus Borealis, Borouge and NOVA Chemicals invite K Fair attendees to “Join Our Journey” and pay a visit to stand A43, located in Hall 6. The joint stand offers a generous hospitality lounge and ample conference room space. A dynamic video wall, digital information points, and a selfie photo booth are points of interest along a journey of innovation across the globe. Certain to please the crowd is the Opel Astra, 2016 European Car of the Year, showcased at the stand. Borealis and Borouge showcase lightweight solutions with the 2016 European Car of the Year at K Fair: Weight reduction in the new Opel/Vauxhall Astra supported by Borealis and Borouge low density polypropylene compounds. Containing around 35 kg of low density Borealis polypropylene (PP), Opel Astra variants now weigh up to 200 kg less than the predecessor models. The successful new model will be on display at the Borealis, Borouge and NOVA Chemicals stand at the 2016 K Fair in Düsseldorf. General Motors and Opel/Vauxhall selected Borealis and Borouge in 2012 as lead suppliers for both the Opel/Vauxhall Astra models in Europe and the Chevy Cruze models in Asia and the Americas. Borealis and Borouge supply lightweight PP compounds for all specified interior and exterior Opel/Vauxhall Astra applications. They were selected for this project thanks to the high level of product quality, excellent technical support, but also due to the global availability of product supplied from manufacturing facilities in Europe, Brazil, China, and North America as well as via tolling partners. Borealis’ Borstar®-based Full PE Laminate solution improves recyclability of flexible packaging materials: based on the proprietary Borstar® bimodal polyethylene (PE) technology in combination with machine direction oriented (MDO) processing technology, this novel monomaterial solution offers a second life to PE-based packaging as valuable end products, without compromising on product efficiency or integrity. Developing the Full PE Laminate solution has been a joint effort among Borealis, Borouge and a consortium of leading firms across the value chain, each representing the most advanced expertise within their respective areas. Borealis strengthens cooperation with Taiwanese firm for development of lightweight, recyclable foam use concepts: The cooperation allows Borealis to explore the development of market applications based on Borealis’ Daploy™ high melt strength (HMS) PP foam material. Daploy HMS PP foam is 100%-recyclable and is suitable for a wide-range of applications where an improved environmental footprint is sought, as well as lightweighting, insulation and a unique surface feel. These applications can be used in a broad spectrum of industries, such as automotive, building & construction as well as packaging and food service. Borealis launches a new grade in its portfolio of polypropylene random crystalline temperature (PP-RCT) pipes: now commercially available in Europe, the new grade RA7050-LG is an important expansion of the pioneering and superior Borealis PP-RCT portfolio. The improved performance and properties of this grade fulfil market demand along the entire value chain for sophisticated applications industrial heating and cooling, including building risers as well as heating, ventilation and air-conditioning (HVAC) systems. Asia is the growth engine of the future; home to 64% of the global population, to 37% of the global economy, and home to Borouge. This region is experiencing continued population growth, urbanisation, expanding middle class and economic advancement. It’s these factors that define and drive Borouge’s growth strategy. Borouge has achieved a step-change in its innovation capability with the establishment of world-class research and development facilities in Abu Dhabi, UAE, and Shanghai, China. This innovation focus is reflected in Borouge’s redesigned marketing approach, which drives toward greater industry partnership and serving the broader needs across the value chain. This industry-led approach has guided the development of numerous value-adding solutions; such as Borouge’s diffused-light Borstar® based greenhouse film solution that enables profitable and efficient greenhouse farming. It’s also led the creation of Borstar® RA140E, the PP water pipe system solution that delivers safe and healthy drinking water and improved system reliability. Following the successful start-up of the Borouge 3 project in 2015, Borouge’s site in Ruwais, UAE, is now the world’s largest integrated polyolefins complex, with production capacity having more than doubled to 4.5 million tonnes. The first ever commercial sales of Ruwais produced LS4201R XLPE solutions have recently been completed, marking the latest milestone for the expansion phase. Used in insulation applications for medium voltage energy cable systems, LS4201R is produced in the new XLPE facility at Ruwais under the same exacting quality standards and advanced Borlink™ technology platform as the Borealis plant in Stenungsund, Sweden. Customers are expected to reap significant benefits in the form of enhanced consistency and reliability of supply. NOVA Chemicals to start up first LLDPE reactor in the Americas in a decade: In September, NOVA Chemicals announced the mechanical completion of its PE1 Expansion project – a third gas phase reactor at the company’s Joffre, Alberta site. Start-up is expected in the fourth quarter of 2016 and commercial sales will ramp up through 2017. NOVA Chemicals is proud to once again be the first mover, completing a new LLDPE plant that will utilize natural gas liquids feedstocks resulting from shale gas development in North America. NOVA Chemicals opens expanded Centre for Performance Applications in Calgary, Alberta: In May of 2016, NOVA Chemicals celebrated the grand opening of its expanded Centre for Performance Applications. 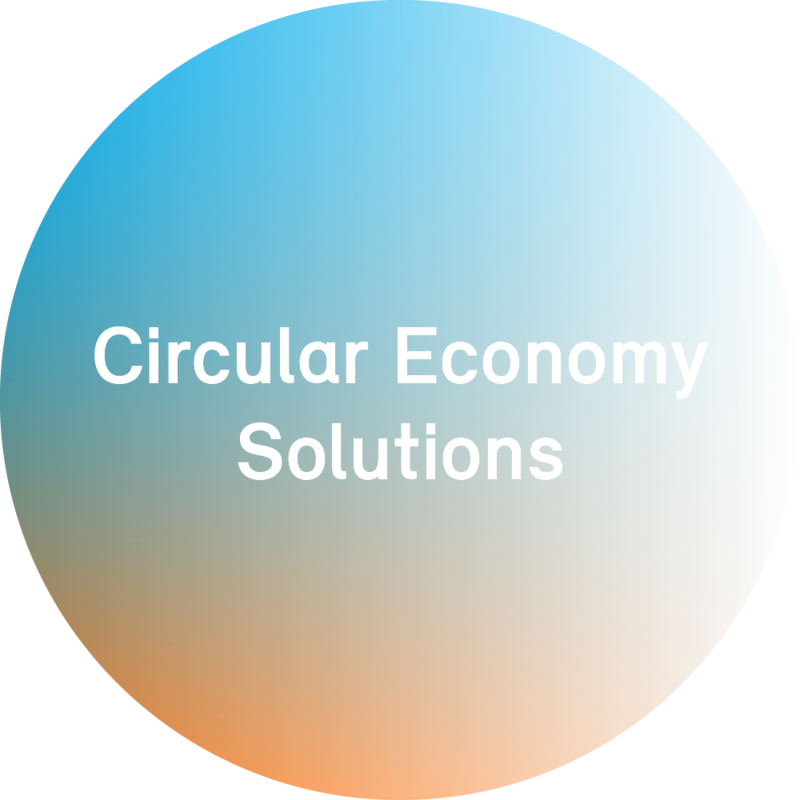 The Centre is a hub for PE product and applications development and helps enable customers to get to market faster with new and better-performing products. Investments include a nine-layer blown film extrusion line, a wide range of converting equipment and testing labs, as well as dedicated suites for customers to work jointly with NOVA Chemicals’ technical experts. This enhanced facility allows NOVA Chemicals to continue to improve collaboration, innovation and the overall customer experience. K Fair 2016 takes place from 19 to 26 October in Düsseldorf, Germany. “Join Our Journey” and visit us at Hall 6, Stand 6A43. Borouge is a leading provider of innovative, value creating plastics solutions. A joint venture between the Abu Dhabi National Oil Company (ADNOC), one of the world's major oil and gas companies, and Austria based Borealis, a leading provider of chemical and innovative plastics solutions, Borouge is a ground-breaking joint venture at the forefront of the next generation of plastics innovation. With its base in the United Arab Emirates and Marketing & Sales head office in Singapore, Borouge employs more than 3,000 people representing over 40 nationalities and serves customers in 50 countries across the Middle East, Asia and Africa. Borlink and Daploy are trademarks of the Borealis Group. Advanced SCLAIRTECH is a trademark of NOVA Chemicals. Borealis, Borouge and NOVA Chemicals Borealis, Borouge and NOVA Chemicals are three leading providers of chemical and innovative plastics solutions. As legally separate entities, the companies operate independently. Each shares the strong, stable backing of their owners, the Abu Dhabi National Oil Company (ADNOC) and the International Petroleum Investment Company (IPIC).